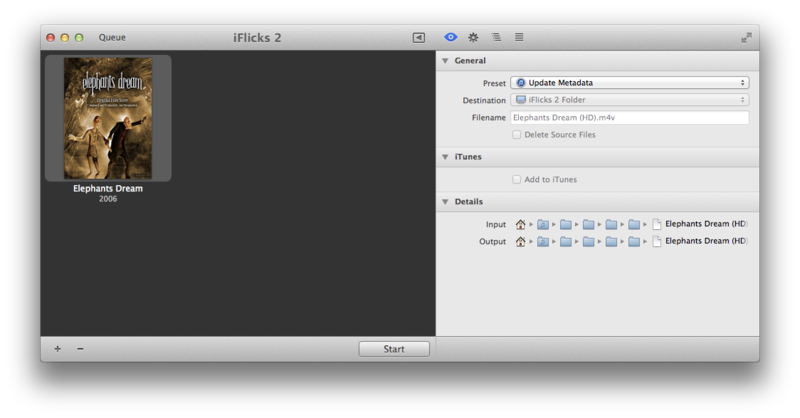 Due to sandboxing iFlicks can not make use of iTunes services for updating iTunes items in iFlicks 2. Instead it is possible to just drag items from iTunes to the iFlicks window to update metadata. When doing so, use the Update Metadata preset if you only want to update the metadata. Note: There is a bug in iTunes preventing above method from working with videos located in the Home Videos section of iTunes.